You Are Here: Home » Virtual Gastric Band » Who Won’t the Virtual Gastric Band Work For? 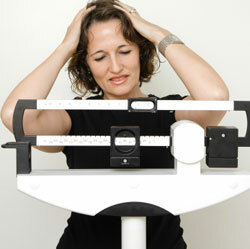 The Virtual Gastric Band weight loss procedure won’t work for everybody. This is because for most people weight loss has more to do with commitment and attitude than about food. Now don’t get me wrong eating the right foods is important for weight loss but this isn’t where people stumble and fall in my experience. So if you spot yourself in the issues below then chances are not only will the VGB procedure not work for you, but no weight loss program will allow you to be successful and meet your goals. Hypnosis is not a magic wand to solve all your challenges Hypnotherapists cannot make you do anything you don’t want to do, including lose weight. The Virtual Gastric Band procedure is multiple sessions and requires your active engagement in every activity to be successful. The point is if you’re looking to sign-up to the program and expect the hypnotherapist to do all the work so you lose weight without you participating then you’re wasting time and money. There is no part of the procedure that involves taking out your brain and scrubbing it clean of the triggers that make you overweight. There are eight golden rules we insist you follow as part of the Virtual Gastric Band procedure and if you follow them you’ll be successful and if you don’t you won’t get to, and stay at, the right size. The rules are simple and not arduous to most people. But if you’re the type of person who likes to “experiment” with boundaries and go freestyle then your spirit is much too free for VGB. As strange as it may seem there are many people who send subtle messages to their subconscious mind they expect to fail at weight loss. One example is those who keep their oversized dresses or suits around just in case it doesn’t work, or they gain back all their weight. If you find yourself always having an excuse for not losing weight and you blame others for not being successful at previous attempts then you’ll have a hard time sticking to the rules and commitment required as part of VGB. I’ve seen it where the first few weeks of the program are great and almost easy, but then some distractions happen and the going gets a little tougher and suddenly there’s a list of reasons to justify why you “fell off the wagon” this week. Detours happen from time to time, and this is okay, but consistently being distracted probably means there’s a responsibility issue to be addressed. So, my original question begs another question – Who will the Virtual Gastric Band work for? They expect to succeed and lose weight but are happy to see steady improvement over the long haul rather than the TV advertised 15 lbs in the first week wonder stories! They integrate the eight golden rules of the VGB program into their everyday choices and lifestyle. They take ownership and responsibility for their own weight loss and don’t blame others when things don’t go to plan.